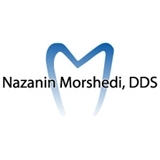 Nazanin Morshedi DDS (Palo Alto) - Book Appointment Online! Palo Alto Dental Center is one of the longest established practices in the area. All team members have more than 20 years experience in the dental field. Palo Alto Dental Center is proud to use the latest technology and is diligent in trying to bring comfort and ease for the patients during their visit to the practice.